Welcome to Plasticsheets.com, the online plastic sheets superstore, an online trading division of Wanna Ltd.
Plasticsheets.com offer one of the widest ranges of plastic sheets available online, our range includes clear acrylic sheets, coloured acrylic sheets, solid polycarbonate sheets, multi-wall polycarbonate sheets, as well as acrylic rods, tubes, and a full range of home and retail supplies such as splashback protection, greenhouse sheets, and various point of sale display units. 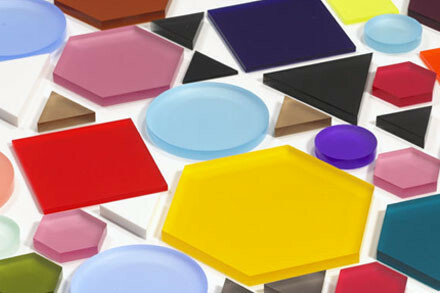 Our staff have over a decade of experience working with various types of plastics, such as acrylic and polycarbonate. You can be sure that any order will be cut accurately and smoothly hassle-free. Whether you need plain sheets or whole bespoke units, we promise to be competitively priced whether you want 1 sheet or 100 sheets. Our specialised acrylic fabrication department is capable of making the most complex fabrication designs look brilliant in any type of plastic, you won’t be disappointed! The cut-to-size software available on our website means you can order the sheet you need specifically without having to do any cutting yourself, and you pay purely for what you get, if you compare our stock prices to our cut to size, you'll soon realise we really don't charge extra for cutting them to size for you. This is mainly down to having top of the range machines ensuring the sheets are cut to size for you in a time efficient manner. We use as much of our original sheets as possible, not only does this help keep the prices down for customers, it also reduces waste for the environment, and you can be sure we recycle what off-cuts we do get. The majority of our range is available on our website but if you have any queries or wish to request something not shown don’t hesitate to call us on 0845 600 9770 or contact us by email at [email protected] and you could be pleasantly surprised!